Customers and employees are two integral parts of a business. Without one you can’t have the other, and vice versa. Reno is full of all different types of businesses and there is tons of competition. Business owners are constantly looking for new and exciting ways to not only retain their customers, but their employees as well. A customer appreciation event in Reno can make all the difference for your business. Customers like to feel appreciated, just as much as the next person. But don’t forget about your employees. Employee appreciation events in Reno are just as impactful as customer appreciation events. Good people are hard to come by, so when you invest in hiring and training them, you want to keep them around. The benefits of showing your employees how much you care about them and how much you value them as a part of the business are too plentiful to count. 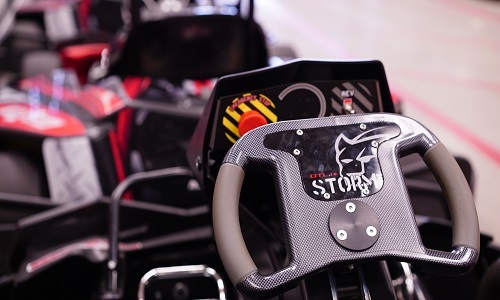 So when you’re thinking about fun events in Reno to take your employees to, give them an adrenaline-charged indoor kart racing experience that makes them excited for what lies ahead. Have you ever had a situation where you decided to take your business elsewhere because you didn’t feel like your business was being valued? When you’re a loyal customer, it’s nice to feel appreciated. On the flip side, as a business owner, you’re constantly looking to set yourself apart from the competition and earn your customers business on a repeat basis. One way to do that is to have a customer appreciation event in Reno that centers on fun, in a setting that allows you to thank your customers. Need 2 Speed has all you need to throw one of the most fun events in Reno. With plenty of space to host up to 200 devoted patrons as well as food and exhilarating entertainment, your customer appreciation event in Reno will be the talk of the town. Go the extra mile for your customers and show them that you genuinely care for them and their business by expressing your gratitude. Small gestures like customer appreciation events can earn customers for a lifetime. Second to customers, employees are the most important part of a business. When it comes to running a business, there are few professions where you can succeed alone. Employees are so important in fact, that at some companies, managers and executives at the highest levels are assessed and given bonuses based on employee retention. It’s a big deal. Just like customers like to be appreciated for their patronage, employees like to be recognized for their hard work and dedication to the company. An employee appreciation event in Reno could be just the thing your staff needs to give them a pep in their step. Happy bees make better honey, and when employees are happy, customers are too. Whether you have a small or large staff, Need 2 Speed can accommodate up to 200 of your dedicated employees and give them an awesome experience they won’t forget any time soon. Whether you’re looking to shower you employees with gratitude or show your customers you appreciate their business by hosting a customer appreciation event in Reno, Need 2 Speed can supply the venue and the entertainment you need to make a lasting impression. Call us today at (775) 851-7223 to schedule your next customer or employee appreciation event in Reno and speed ahead of the competition!